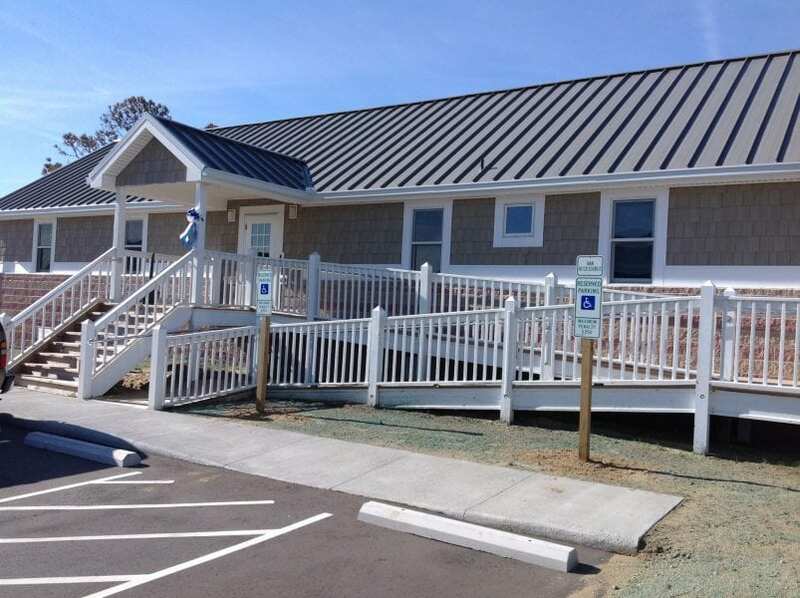 Kill Devil Hill has finished contruction and renovations to its Public Works Complex, a $2 million project that took about a year and was the second phase of work that began more than eight years ago. The project was officially Phase Two of the improvements, Phase One having wrapped up back in 2009 with the completion of the recycling center. 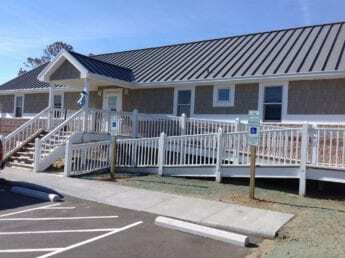 Phase Two included renovations to the Public Works offices, with new siding, roofing and windows, and a new storage unit for the Kill Devil Hills Police Department, roughly twice the size or their previous one. But the biggest, and mostly costly improvement, is the newly erected Fleet Maintenance Shop. The previous shop was built in 1987, a 4,000-square-foot maintenance facility designed to save the town money by doing the repairs and upkeep on their 35 town vehicles. Now, that number has grown to 183 vehicles, including police cars, fire trucks, garbage trucks, back hoes, front-end loaders, tractors, Ocean Rescue’s trucks, boats, and jet skis, and more, and the old shop was getting a bit tight. The new shop is 7,000 square feet and can service 10 vehicles at a time. It boasts a few green energy features that should save the town money such as LED lights, energy-efficient doors that are also rated to withstand harsh winds and a clean-burn heating system. It usually generates around 1,000 gallons of waste per year, waste which they previously had to pay someone to dispose of. Now it goes into the heating system, eliminating the waste while generating enough heat to keep the building toasty warm, and save $10,000 a year on the propane bill. They’ve also installed fuel pumps on the property, where fleet vehicles can be gassed up with convenience, and at about 25-30 cents less per gallon than the gas stations. The pumps have a back-up generator so that emergency vehicles can still get gas even if the power goes out. The new shop is currently empty, awaiting the completion of a few details with an occupancy inspection. 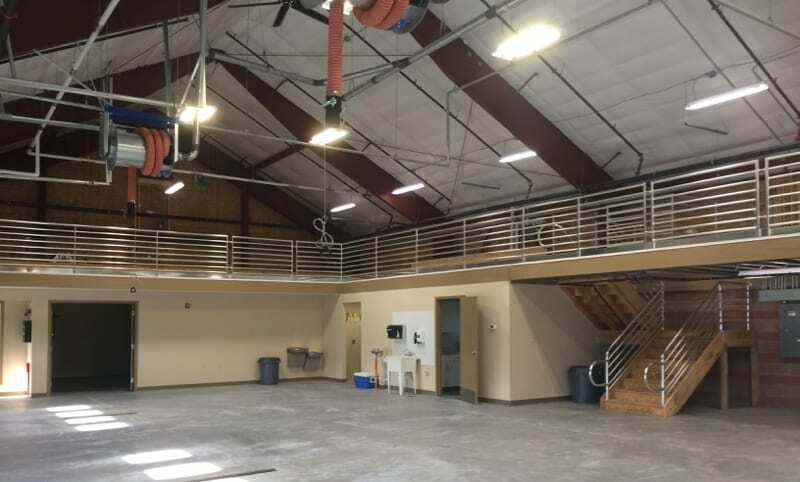 Hoggard expects that it will be operational within a month, at which point the old fleet maintenance shop will be used as extra storage for the sanitation department. Hoggard, who helped design the new shop, cannot wait to move in. “I’ve had a smile on my face ever since this project started,” Hoggard said.